Every regular paddler should take along a dry bag with important items to ensure a safe and pleasant kayak outing. 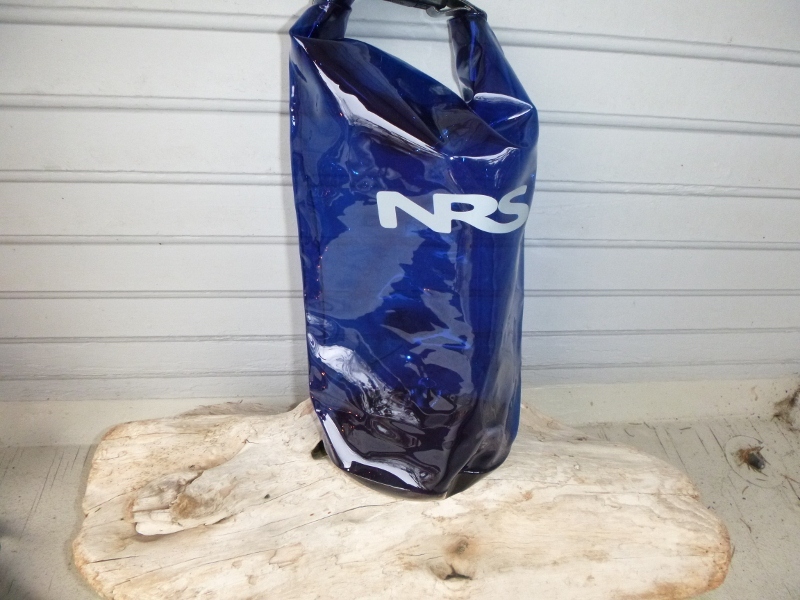 There are several types of dry bags from ultralight material to more heavy duty materials. There are several sizes available. We recommend a light to medium weight smaller dry bag that can fit comfortably between your legs in the cockpit for easy access while underway. There are new see through materials that allow you to find your items easily as a further option. When I head out on the water for a day paddle I have many useful items in my dry bag. I always have a water bottle and several energy bars. It is very uncomfortable to paddle thirsty and hungry. Your energy can really wane if you are either dehydrated or don’t have enough fuel for paddling at high energy levels. Being dehydrated also makes you more vulnerable in cold or hot conditions. I also always have a small multi -tool including a retractable knife. There are so many instances when this comes in handy. I have one or two detachable bow lines which can be used for many things – mostly for tying up boats on the beach. I have two S clips and a few zip ties for reattaching things to the boats or to a life jacket. I have a pair of small binoculars or a waterproof monocular for seeing wildlife. I keep my waterproof paddling gloves as well as a fleece hat and neck warmer in my dry bag. A small container of sunscreen and lip balm are always on hand as well. There is also room for a small first aid kit with essentials. This seems like a lot but my dry bag has room for more and it is a 6 Litre, lightweight bag that fits easily between my legs. Some other things to carry in your dry bag could be your cell phone and camera. They do make special waterproof containers made just for those items that may be more useful and give you better access on a lanyard around your neck. That would be personal preference. We would love to hear some ideas of what you have in your dry bag. Please comment below to let us know…..